When I was a child I was pretty fearless. I would take on just about any physical or mental challenge I could find. I would scale walls and climb trees and fences. My brother and I would ride bikes down steep hills without brakes, just to see who had the guts to get all the way to the bottom. I actually lost a lot of skin from one of these adventures! I’d dig for worms, play with snakes, spiders, and lizards and things that made many people cringe. Their creepiness made them even more exciting. I have a vivid memory of being afraid of only one thing when I was a child—the dark. I was terrified of the dark. As long as I could see something I could conquer it, no matter what it was. But turn off the lights, and I was done. I wouldn’t go into a dark room alone. I wanted to sleep with the light on all night. I tried not to be the last one downstairs at night. If I happened to be the last, I’d turn off the light and then sprint up the stairs to safety, making sure to keep looking back in case something had decided to grab me and drag me back down. 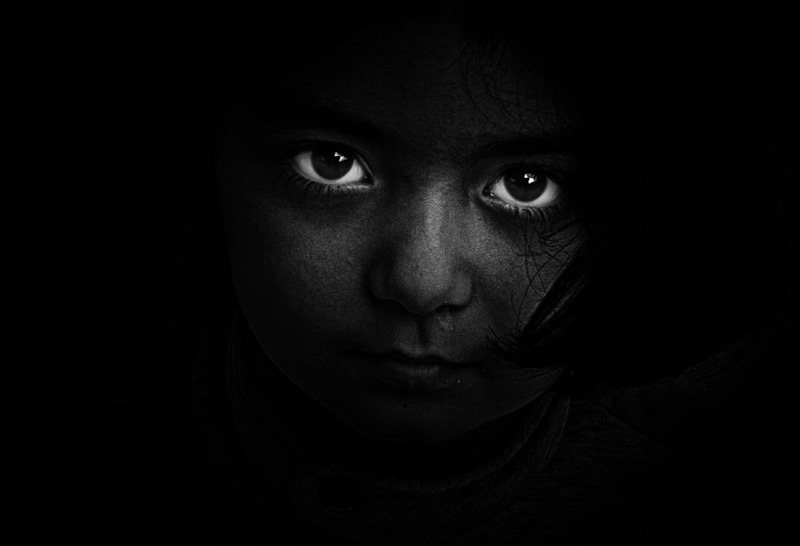 What is it about the dark that makes children so afraid? How could I have been in the same room with the same stuff and suddenly be terrified? I think it’s the sudden loss of all familiar landmarks. In one split second the furniture, the walls, the ceilings and floors disappear, leaving one to feel lost and disoriented. With nothing immediately visible to the senses, the mind immediately begins to create and imagine what could be there. This can be terrifying. As adults, we sometimes act like the terrified children we thought we had outgrown. As long as we remain within the familiar confines of daily life, we feel safe and secure. When we encounter times such as a change in career or relationship status, change in living arrangements, birth of a child, or a shift in health, darkness falls in that part of our life. This fear is just as present for positive change as for change we perceive to be negative. Too often, as soon as we reach a time in which a major shift leads to uncertainty and loss of clear vision, the brain fills in this picture based on our greatest fears. Could this darkness, however, represent opportunity? With the sudden disappearance of boundary walls, ceilings of limitation, floors of stability, and furniture of comfort and stagnation, we have the chance to imagine anew. With nothing immediately visible anymore in that area of our lives, our minds can immediately begin to create and imagine what could be there. Light is necessary and good. But often creativity and vision have their origins in the darkness of the unknown. Embrace the darkness. Nice Blog with awesome stuff.. Through Brave Ecstatic Woman, you can Understand the true meaning of the mind, soul, spirit, and Oversoul.